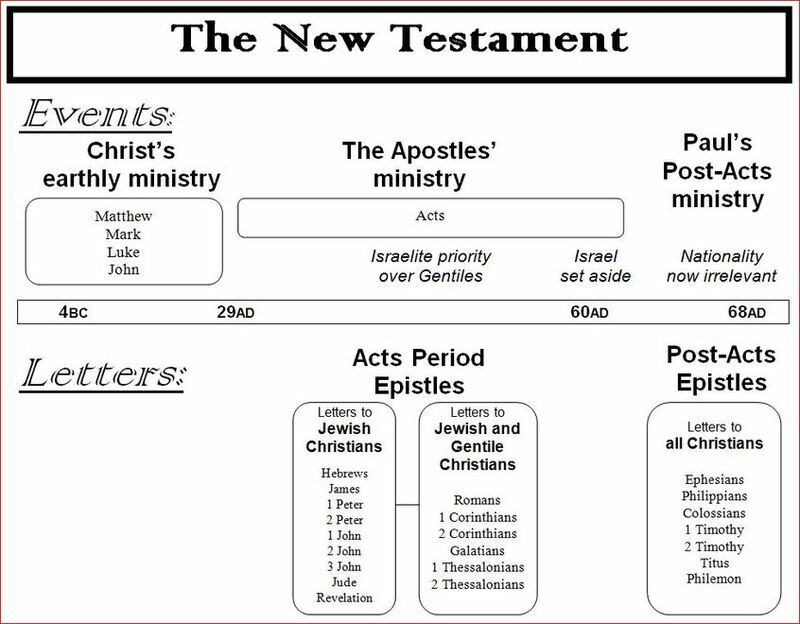 Summary: The Epistles of the Acts Period reflect the conditions of the Acts Period. This recording is Part 1 of two messages examining the role of the Holy Spirit during the Acts Period, as outlined in the Epistles of that time. The previous two studies, we’ve been looking at the roles and activities of the Holy Spirit in the Acts Period. Earlier, during the OT and Gospel Periods, the Spirit came upon only a handful of people at a time, and usually not permanently. However, a change took place after the Lord’s resurrection and ascension, whereby God’s Holy Spirit would, from that time onward, accompany all who would believe on the name of the Lord Jesus. Furthermore, this blessing of the Spirit’s presence with a person would be permanent. That began at Acts ch.2. During the Acts Period (c.29/30 A.D. until c.60 A.D., a period of 30 or so years), a believer would be accompanied by visible signs and wonders, in accordance with the resurrected Lord’s promise in Mark 16 – “These signs shall follow those who believe”. In the last lesson, specifically, we looked at instances of how those signs described in Mark 16 were manifested, as detailed in the book of Acts (speaking in tongues, cast out demons, pick up snakes, healing the sick). In this (and the next) study, we’re going to look at some of the other documents of the Acts period, namely, the epistles. We’ll see more evidence that the Holy Spirit was a permanent fixture in the life of the Acts Period believer, and we’ll also read about this ability of the common believer to perform miracles during that time Acts Period. It becomes evident that it wasn’t always smooth sailing having those gifts. NOTE: Some of what we’ll read in the epistles about the Holy Spirit’s presence with the believer during the Acts Period also applies to the believer today. However, bear in mind that the Holy Spirit’s activities vary from age to age, and much of what we read about concerning the signs and wonders aspect of the Spirit’s presence then, will not apply to us today. More about that in future studies. Let's now look at some of the epistles of that period, and note what is said cocerning the Holy Spirit's activities. Referring to the NT chart above - note when these epistles were written. v.9 – “if anyone does not have the Spirit of Christ, he is not His” – the presence and permanence of the Holy Spirit – not a phrase that could have been written in an earlier period of history. Began with the Acts Period. v.13 .. 14 “I speak to you Gentiles … [and make a lot of this] if by any means I might provoke to jealousy Israelites, and save some of them. blessed with Israel – salvation, sealed with the Spirit, and gifts accompanying belief. The dwelling place of God. Therefore glorify God in/by way of your body. - ideas of the chosen people of God, anointed as priests to fulfil a priestly role amongst the nations. Priests were to be washed/baptised, then anointed with oil. Christ was baptised in water, and then anointed with the Holy Spirit. The Acts period believers were baptised in water and then anointed with the Holy Spirit. "Anoint/ing" is a word never used in the later epistles, and not for us today. Related to the name “Christ”, christos, the anointed one. We should be careful not to say we are anointed ministers of God. Anointed people in the Scriptures had particular roles and gifts. "Anointing” has ideas of appointment for a special role, and is linked in the NT with the gifts and miracles, the overt working of the Spirit. Luke 4:18,19 – The Spirit of the Lord is upon me, because he hath anointed me to preach the gospel to the poor; he hath sent me to heal the brokenhearted, to preach deliverance to the captives, and recovering of sight to the blind, to set at liberty them that are bruised, To preach the acceptable year of the Lord. Acts 10:38 - God anointed Jesus of Nazareth with the Holy Ghost and with power: who went about doing good, and healing all that were oppressed of the devil; for God was with him. Two other occurrences in 1 John, that we’ll look at next time, and then there is this current reference in 2 Corinthians 1:21. That's all the references to the Spirit's anointing in the NT. All of those verses about anointing, listed above, are to do with appointing - i.e. being appointed for a special role, and linked with the performance of miracles for credentials, empowered by the Holy Spirit to do so. If someone today says they are “anointed”, you would be within your rights to say “show me proof of this”. Ephesians is an epistle written after the Acts Period. Some things have changed. Ephesians 1:13,14 is similar to 1 Cor 1:21,22 – The Spirit is a guarantee of things to come, given when we believed … but this time, in this later epistle, no “anointing” is mentioned here. Ephesians 1:19 – Power? Yes .... Anointing? No. More about these Ephesians verses in a later study. If you can’t wait, read “The Work of the Spirit in an Age of Grace” by Michael Penny for some thoughts about these things. More passages in the Acts Period letters speaking of the Spirit’s role. We’ll concentrate more on some of the “spiritual gifts” that abounded at that time.